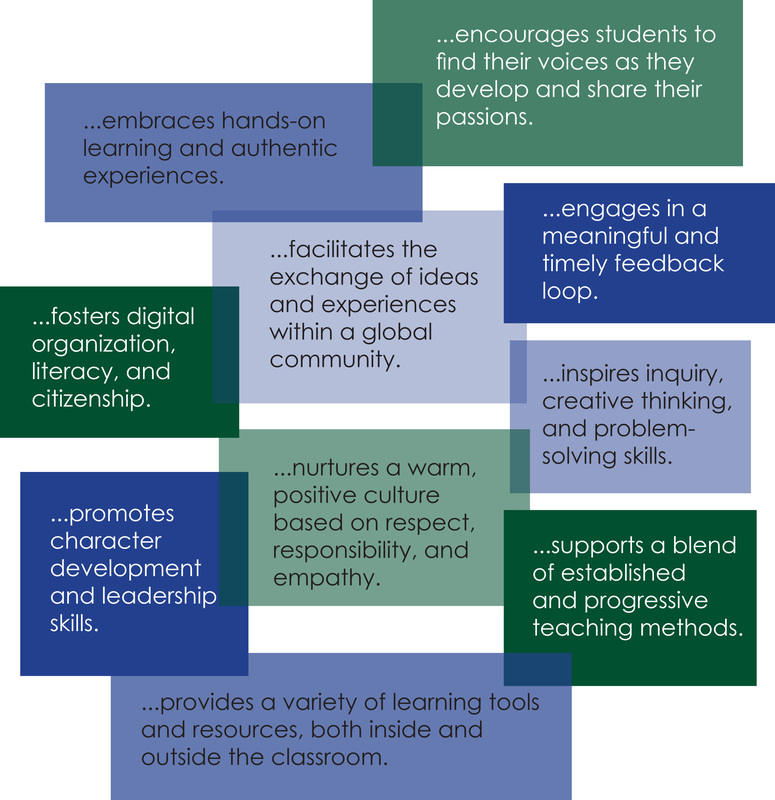 What are the qualities that define an Oakridge education? Oakridge educators have considered this question and created a list of tenets to guide teachers with classroom dialogue and planning. This synthesized model brings together several Oakridge programs, including Learn21, Owls Speak Out, and the cross-divisional Writing Initiative. Together, they aim to develop students (and eventually graduates) who are lifelong learners and effective communicators prepared for success in college and beyond.